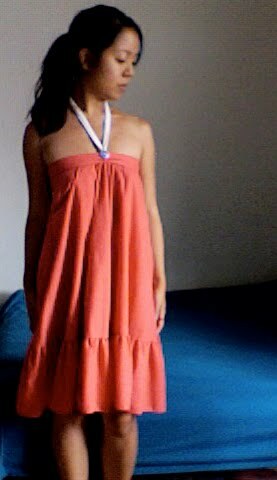 In hot weather flowy dresses are the key to comfort. Old vintage skirt turned into flowy dress. 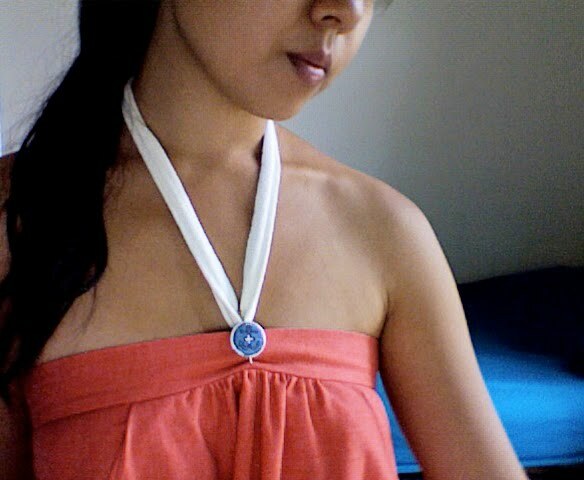 White cotton fabric strap attached & new Etsy anchor "button" button fastened for cuteness!